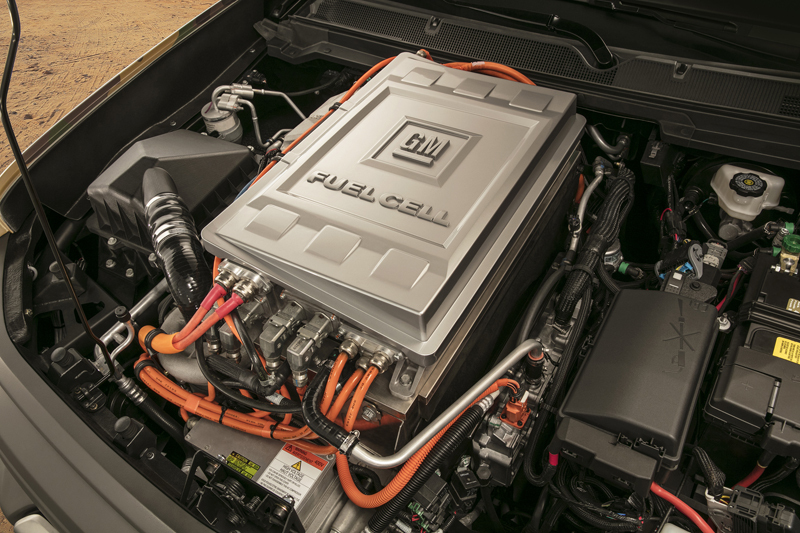 General Motors has been investigating alternative power source for a long time. Hydrogen Fuel Cell propulsion was first introduced to the public in 1966 with the Electrovan prototype. The hydrogen fuel cell produces electricity from the combination of hydrogen and oxygen. This electric power generator was particularly efficient the space mission programs as hydrogen and oxygen were used as propellant. For the ground transportation field, hydrogen fuel cell is a solution for electric drive with on board electric production. This solution requires a hydrogen production and distribution network, presently introduced as "hydrogen hyghway". This initiative is presently under development in Japan, South Korea, the United States or Germany, Sweden, Norway and United Kingdom. The first hydrogen fuel cell automobile were introduced for sale in 2015, on markets where hydrogen is available. The Toyota Mirai, the Honda Clarity FCV or the Hyundai i35 are among the first hydrogen fuel cell automobiles. GM has accumulated 3.1 million miles of hydrogen fuel cell testing via Project Driveway, a 119-vehicle fleet driven by more than 5,000 people in a multi-year fuel cell experience program. 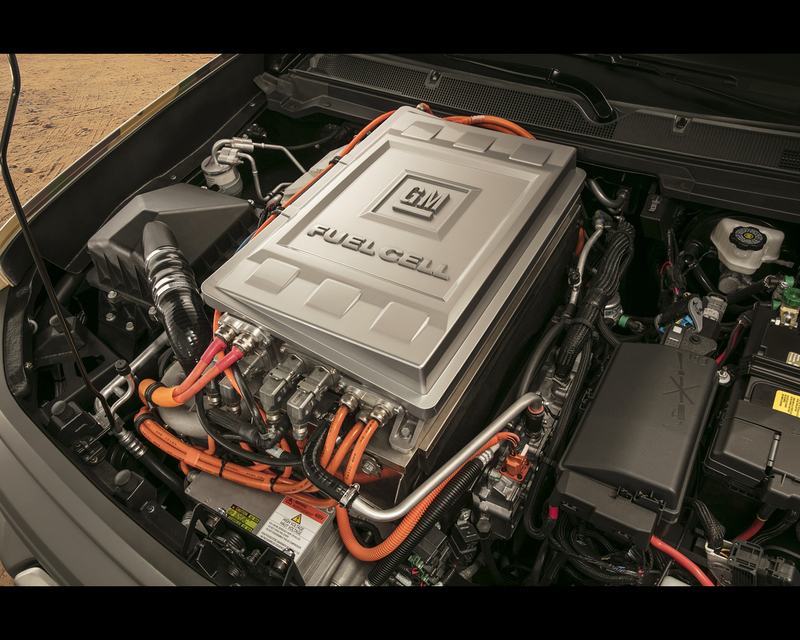 The main vehicle of this experiment is the GM Hydrogen4 derived from the Chevrolet Equinox. 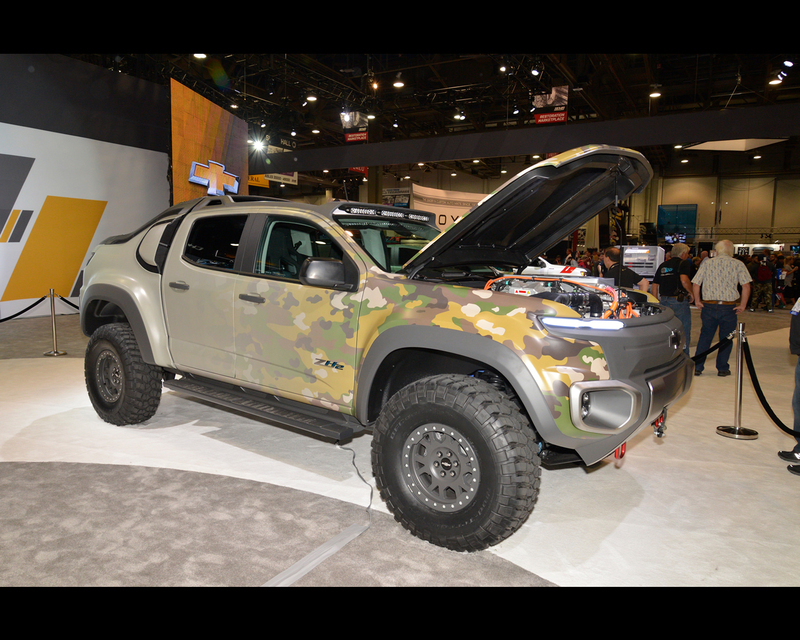 WASHINGTON, D.C. November 2016— The physically imposing Chevrolet Colorado ZH2, the most extreme off-road-capable fuel-cell-powered electric vehicle ever from General Motors, was revealed first at the fall meeting of the Association of the United States Army (AUSA). 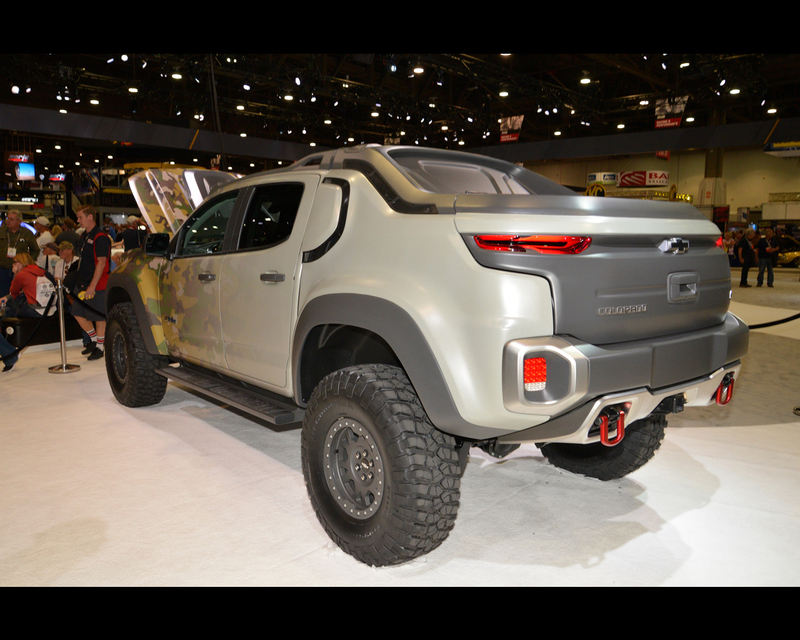 The Chevrolet Colorado ZH2 was also exhibited at the 2016 SEMA Show in Las Vegas. 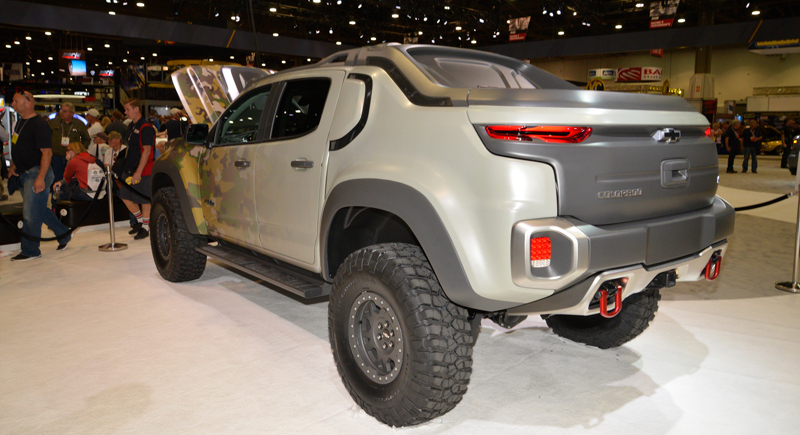 Standing more than 6½ feet tall and more than seven feet wide, the Colorado ZH2 was built on a stretched midsize pickup chassis. 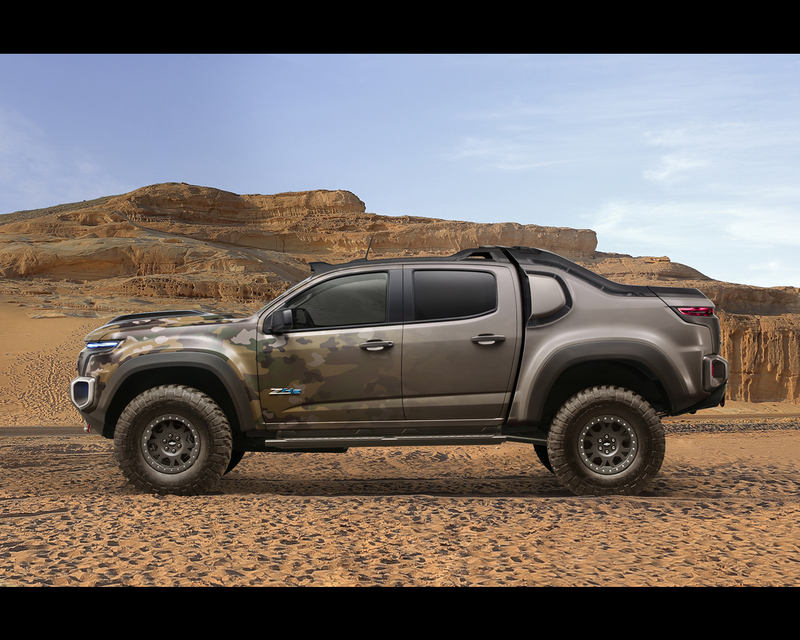 Reinforced inside and out, the ZH2 rides on 37-inch tires and a specially modified suspension that helps the vehicle climb over and descend all manner of terrain. The U.S. Army will test the Colorado ZH2 in extreme field conditions next year to determine the viability of hydrogen-powered vehicles on military missions. 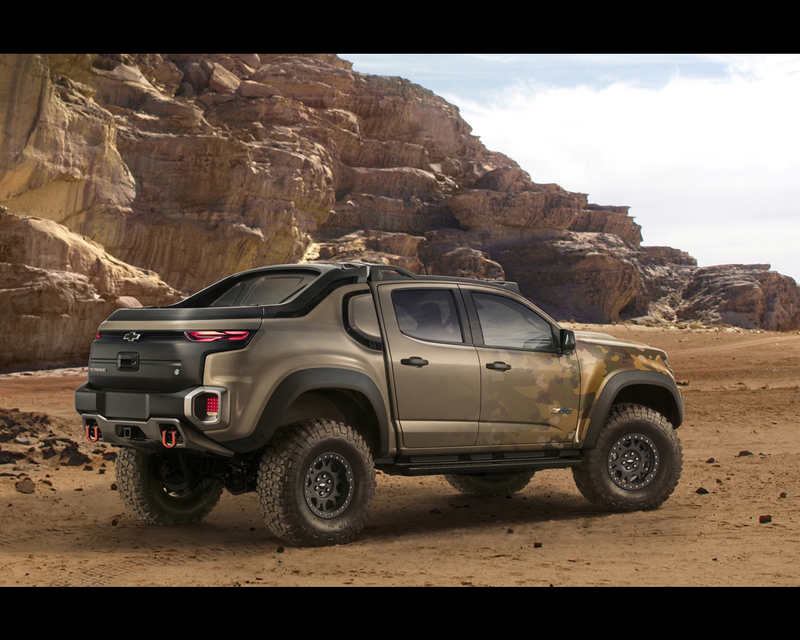 The Colorado ZH2 features an Exportable Power Take-Off unit (EPTO) that allows the fuel cell to power activity away from the vehicle, such as remote locations where electric power may otherwise be unavailable. 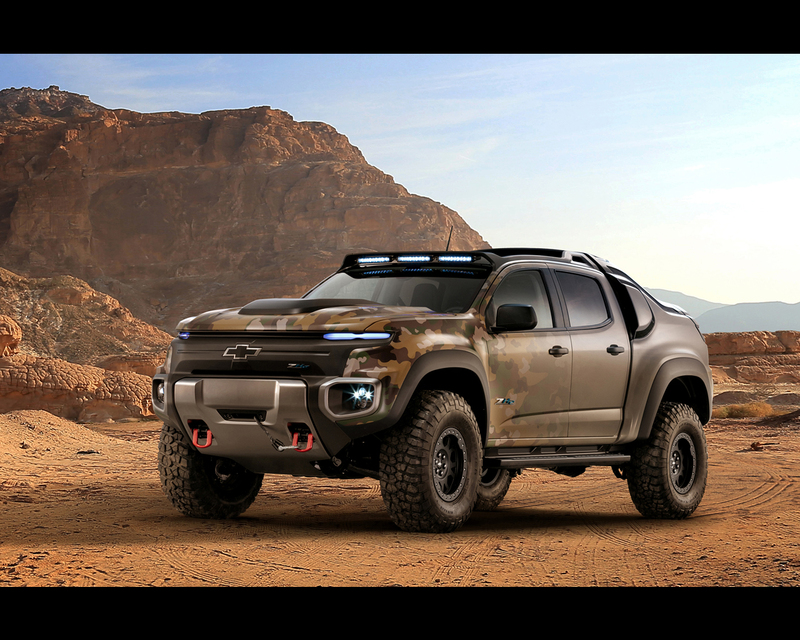 GM and the U.S. Army Tank Automotive Research, Development and Engineering Center (TARDEC) collaborated to develop the Colorado ZH2 from contract to concept in less than a year. 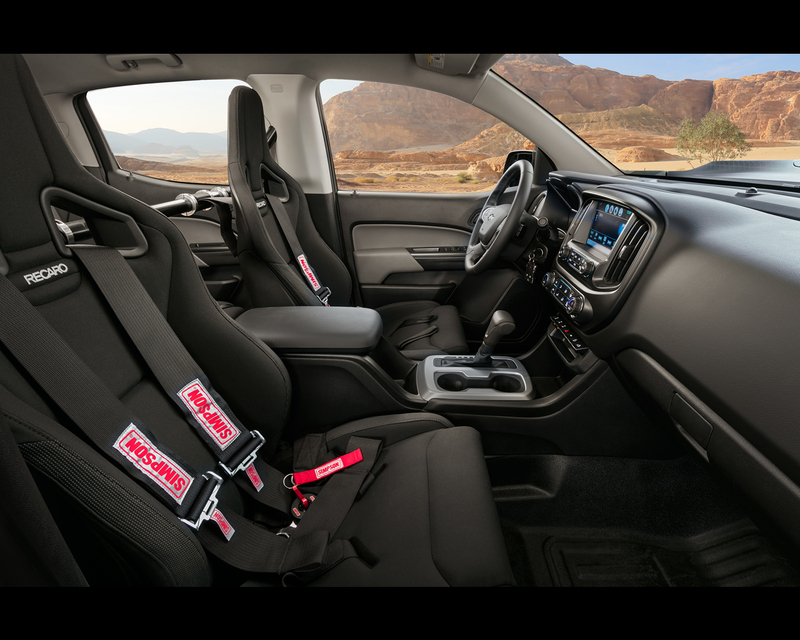 GM is leveraging a range of advanced technologies for multiple applications, including military. GM and TARDEC have fuel cell development laboratories located 20 miles apart in southeast Michigan. Most of the Colorado ZH2 was assembled in GM’s Advanced Vehicle Integration facility in Warren. Calibration testing at GM’s Milford Proving Ground will continue into early 2017, when the vehicle will be turned over to the Army for a year of field testing. 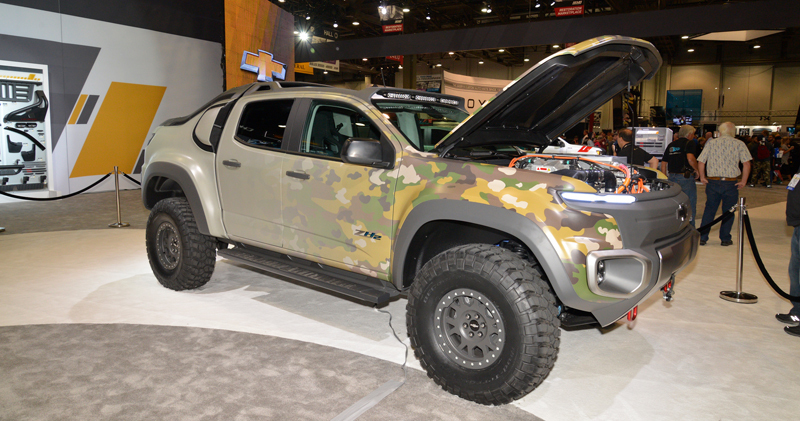 The Colorado ZH2 contract is GM’s second vehicle development with a U.S military branch announced this year. In June, the U.S. Navy unveiled a GM fuel cell-powered Unmanned Undersea Vehicle (UUV) that is currently in pool testing before eventual deployment. 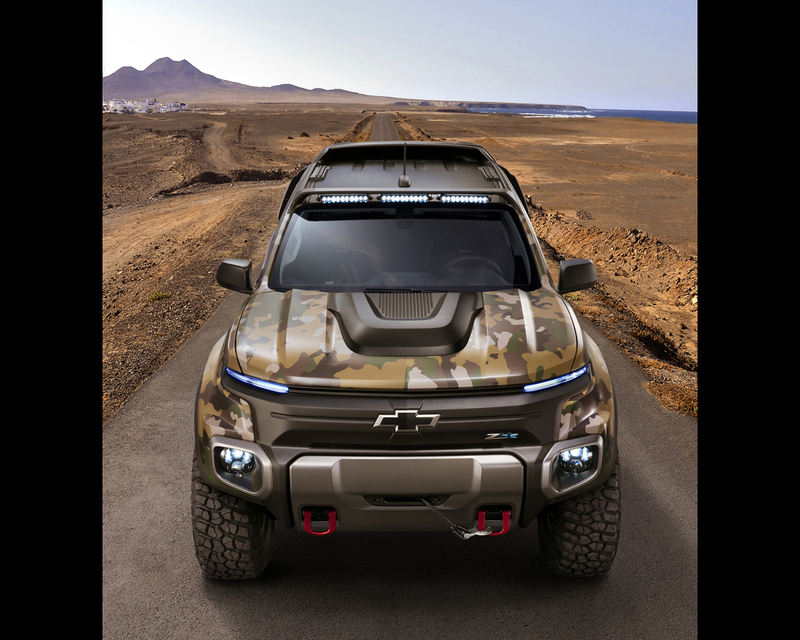 The UUV leverages GM fuel cell technology common with the Colorado ZH2, demonstrating the flexibility to power a range of mobile and stationary devices.